Scripts can look quite plain and lifeless. 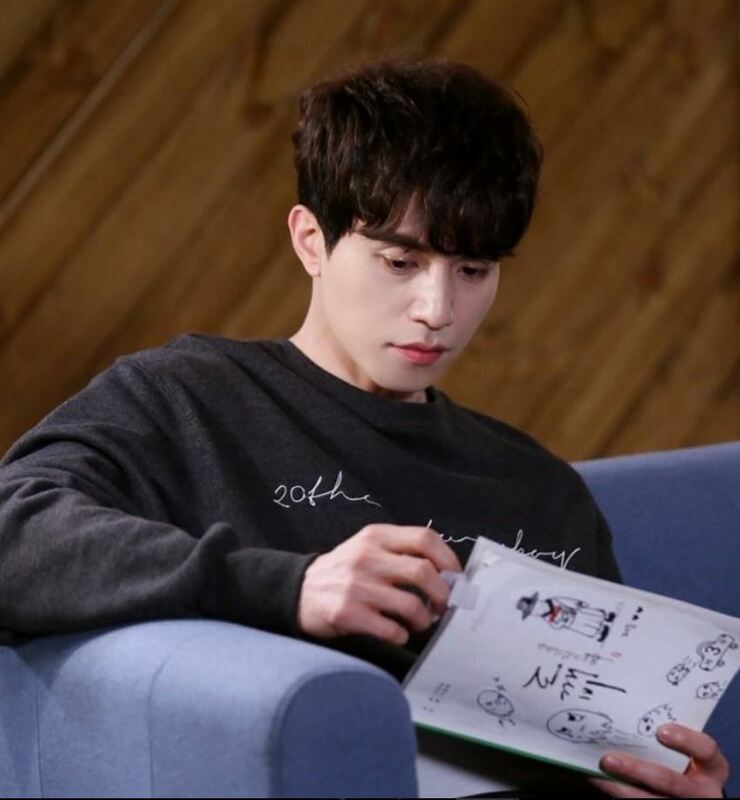 However, Lee Dong Wook brings them to life like how he brings the “Grim Reaper” to life by decorating his scripts! 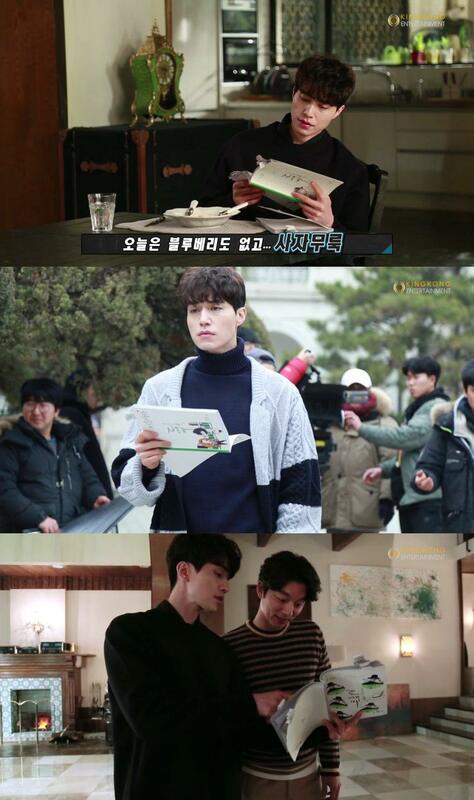 In the behind-the-scenes footage of Goblin, Lee Dong Wook showed the camera what his scripts looked like. The title page of the script was originally just the logo of the drama on a white sheet of paper. 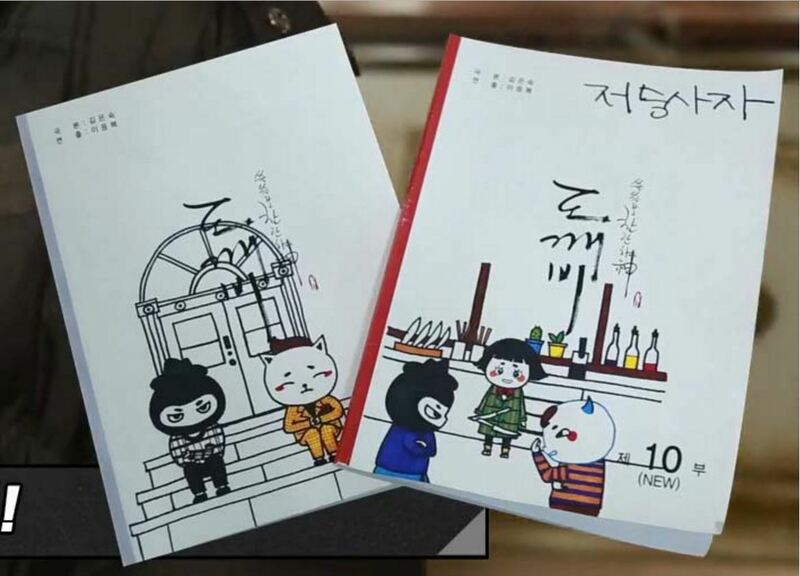 However, Lee Dong Wook’s script had a comic drawing on it. Lee Dong Wook’s scripts are unique and special! The drawings he drew was a reproduction of BoniCrew‘s comics of the Goblin characters. BoniCrew were the ones who created the dolls that have appeared in several scenes in Goblin. They also have been drawing comic versions of the scenes from Goblin with Bogleblue and Blackhug (the comic characters of the Goblin and the Grim Reaper). Looks almost completely identical to the original! In the past, BoniCrew also have drawn comic scenes from The Descendants of the Sun as well! 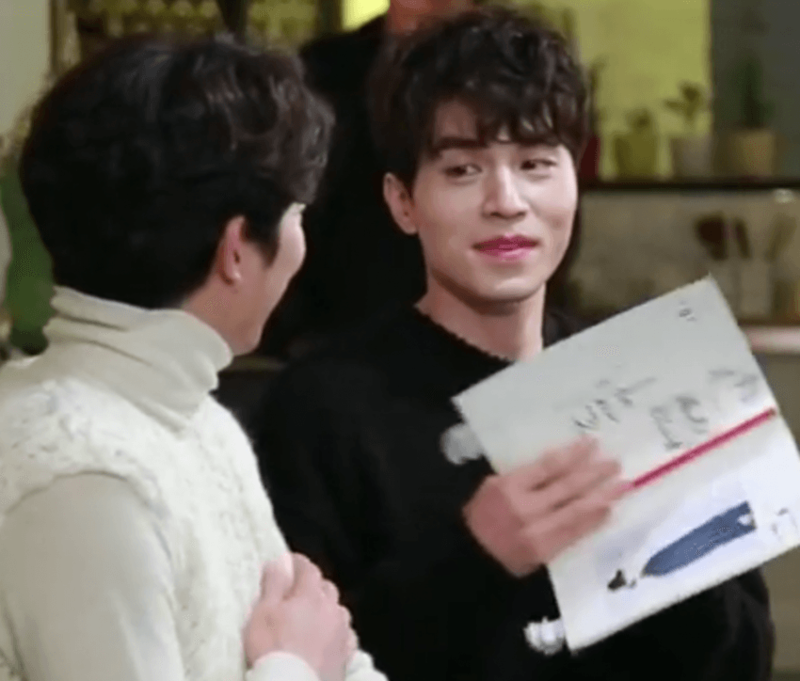 If you look closely in any behind-the-scenes pictures or footage, you could spot a drawing in the front of each of Lee Dong Wook’s scripts! Is the script where he’s showing Gong Yoo something filled with drawings of the Grim Reaper and his famous black hat? I wonder what that mysterious drawing is of? What can’t Lee Dong Wook do? His random doodles are adorable too!